Heart art is a pretty way to decorate for Valentine's Day. Light your child's creative spirit ablaze with heart art! 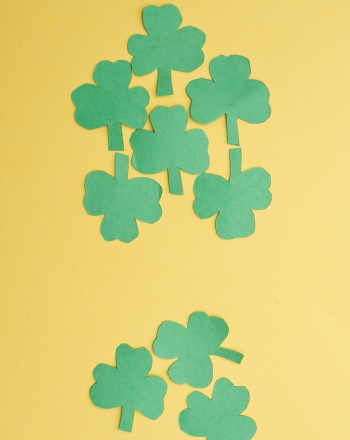 Once he masters the art of cutting out paper hearts, he'll experiment with placing them in patterns, designs, and configurations of his own choosing. 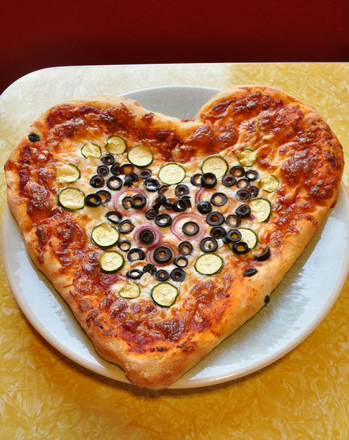 This 'heartfelt' heart art makes a perfect gift or display for Valentine's Day. 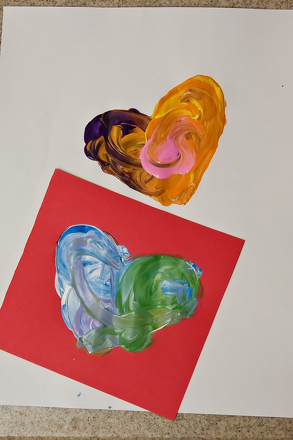 Make some heart art this February, using colorful construction paper, glue, and your imagination. Have your child fold the red construction paper in half. Let him fold the halved paper in half again. Now have him use a pencil to draw a heart that fills the entire folded paper. 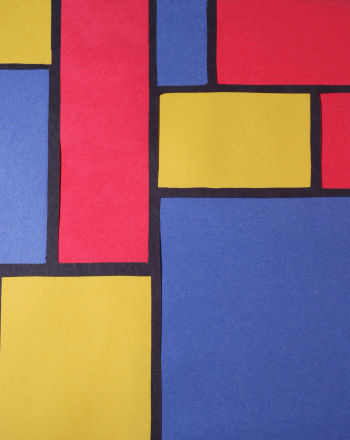 Have him cut out the penciled heart, making sure to cut through each layer of the folded paper as well. When he's done, he should have four identically-sized hearts. 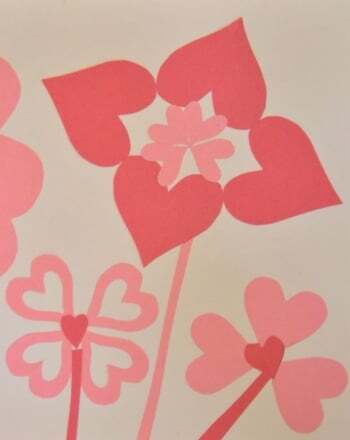 To practise another cutting technique, have him fold the pink construction paper in the same way until he has four layers of folded paper. This time, help him use a pencil to draw only half of a heart. Make sure the beginning and end point of the penciled line touches the fold of the paper. Have him draw a second half of a heart within the first one. The penciled lines should only be about a centimeter apart. Let him use scissors to cut along both penciled lines. This should create eight hearts: four hollow hearts and four tiny hearts. Set your child up with his pile of hearts, glue and the sheet of white construction paper which will serve as the collage's background. Have him experiment with different arrangments for his hearts. He can make flowers made up of hearts of a completely random design of his own choosing. If he wants more hearts, just have him cut out more from the construction paper. When he is happy with his composition, have him glue each heart to the paper. 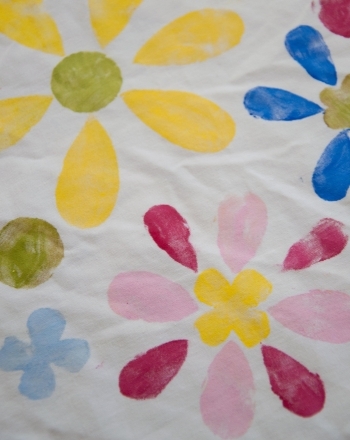 Create striking pieces of art using handmade heart stencils in this hands-on Valentine's Day arts and crafts activity! 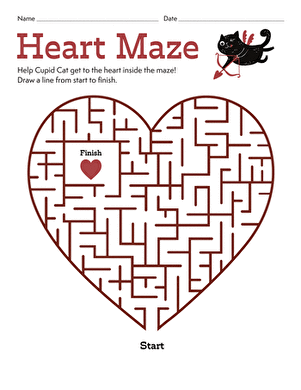 Challenge your third grader to this heart matching game! Beware: It's more difficult than you'd think! 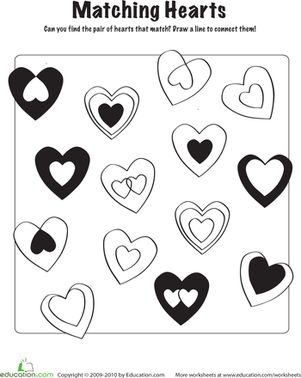 This cheerful Valentine's Day coloring page features heart shaped balloons up high in the sky.